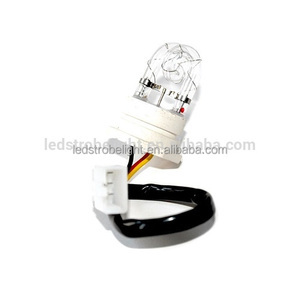 160 Watts 8 LED Hideaway Strobe Lights - White Product Specs: Model SW-52012-8 LED Rated Lifetime Over 50,000HRS Number of LEDs 8 x 20W LED Bulbs Connection Cigarette Adapter Patterns 15 Different Modes Voltage DC 12V Cable Length 10 FT. Straight Dimension of Controller 5.125"(W) x 4.5"(D) x 1.75"(H) Feature - 15 Selectable flash pattern by toggle switch - Last pattern memory recall - Wattage of each bulb: 20W/Bulb. 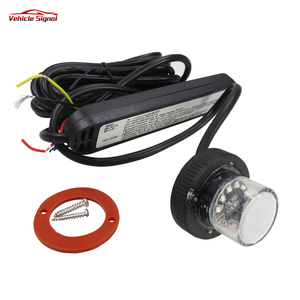 - Visible even during daylight conditions - Vibration and moisture resistant - Mounts onto any 1" hole in headlight, tail light, bumper lights Available Color - red, yellow, amber, blue, green, white Compatible with - Universal for all vehicles with a 12V power source Product Includes - 8 x LED strobe bulbs - 8 x 10ft extension cables - 1 x Toggle switch (on/off & flash pattern button) - 1 x 160-Watt power supply - Installation instructions may NOT be included in this package Image Back To Homepage: Questions9 Any questions please feel free to contact us. 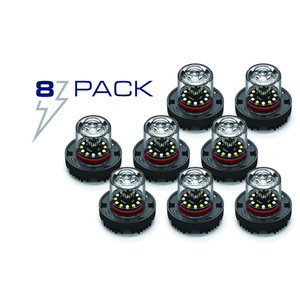 If you have a 4 head Hide A Way strobe kit, you will have a total of 80W. 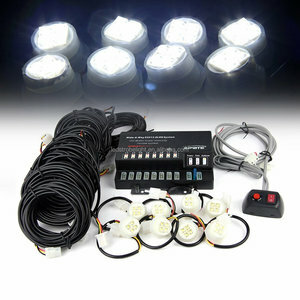 If you have a 6 head Hide A Way strobe kit, you will have a total of 120W. If you have the 8 Head Hide A Way strobe kit, the 6 tubes will equal 160 Watts. Kunshan United Safe Elec-Tech Co., Ltd.
Q: Can I get the sample before formal order 9 A: Yes ,sample charged after discount. Q:What the warranty terms for your products9 A:All of our products have at least 1 year warranty. Please provide us the pictures or videos if there is any quality problem during this period. 4. After sending, we will track the products for you once every two days, until you get the products. If there is any question about the problem, contact us, we will try our best to help you deal with the problem. Q1. What is your terms of packing9 A: Generally, we pack our goods in neutral white boxes and brown cartons. 3, What can you do to help me control stock level9 A) We are using the efficient packaging for our products to save space. B) We can recommend you the hot selling items at your market for your reference. 4, What is the packaging for our products ECE R10 approved 8 LED hideaway strobe light9 Each product with a neutral box, and we can also OEM for you. 2) Warning Strobe Light functions as clearance light, side marker or Strobe light. 4) We vouch for the best of quality for all the products we deliver to our customers. 5) We customize products to our client's requirement and believe we grow when our customers grow. 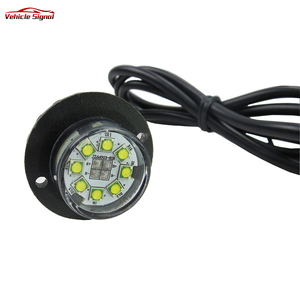 Adopt Generation III 1Watt LEDs, 6 LEDs, 6W power 2). Remarkable performance on waterproof and vibration proof 5). 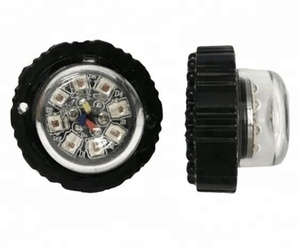 Mounting: headlight, Tail light or surface mount 10). 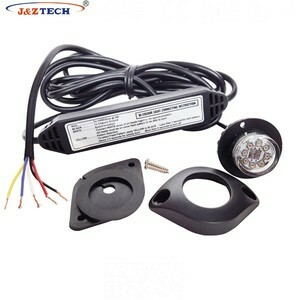 Alibaba.com offers 380 hideaway strobe light products. About 76% of these are auto lighting system, 15% are traffic light, and 1% are led stage lights. A wide variety of hideaway strobe light options are available to you, such as free samples, paid samples. 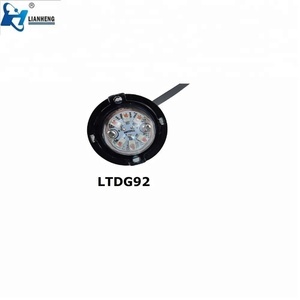 There are 380 hideaway strobe light suppliers, mainly located in Asia. 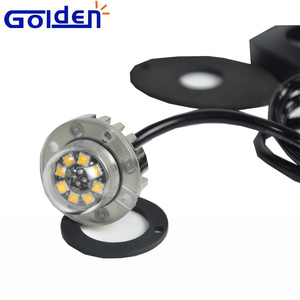 The top supplying countries are China (Mainland), Netherlands, and Taiwan, which supply 98%, 1%, and 1% of hideaway strobe light respectively. 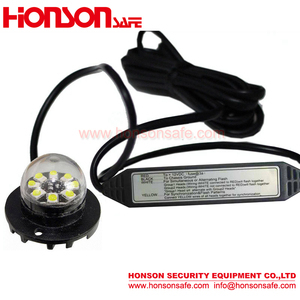 Hideaway strobe light products are most popular in North America, Western Europe, and Domestic Market. You can ensure product safety by selecting from certified suppliers, including 165 with ISO9001, 63 with Other, and 6 with ISO/TS16949 certification.